➤ Upon arrival at Ngurah Rai International Airport, meet & greet by local representative, continue to see the remarkable view of Ulun Danu Beratan Temple, is dedicated to Dewi Danu, the lake goddess. The sight and cool atmosphere of the Bali uplands have made the lake and this temple a favorite sightseeing and recreational spot as well as a frequently photographed site. continue directly to Lovina. check in at Bali Taman Resort & Spa. Overnight in Lovina. Dinner served at Bali Taman Resort. 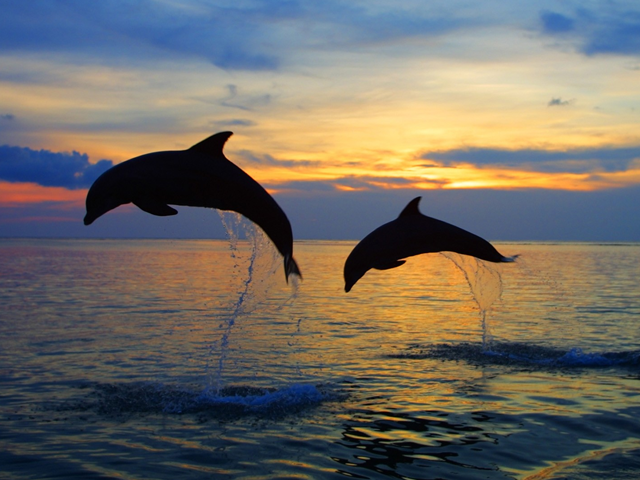 ➤ Early in the morning, you will start you exciting Dolphin Tour. And after you will return to hotel for breakfast and check out. Tour then continues To Kintamani, buffet lunch served at Kintamani, Where you can enjoy the spectacular view of the still active volcano with lake batur. ➤ After Breakfast at Hotel, proceed to Tanah Lot Temple is a Balinese Hindu temple on the rock located in the middle of sea, the view was unbelievable was amazing, is great moment you don’t want to missed. Lunch at local restaurant, proceed to Golden Rabbit Coffee and Khrisna for Balinese Souvenir. ➤ Enjoy free 1 hour massage, continue to visit the cliff top of Uluwatu, the inner sanctum of the pura is perched majestically on the edge of a steep cliff that towers above the legendary surf breaks of southern Bali. Enjoy Sunset Kecak Dance, the accompanying music is provided by the human voice, the gamelan suara, a choir of a hundred men or more sitting in concentric circles, telling a Ramayana Story. ➤ Grilled Seafood dinner at Jimbaran Bay. Back to Hotel.